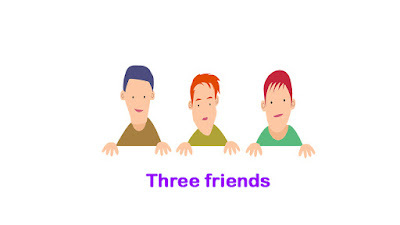 One Line :- This story revolves around three friends who live in a small village. Once there lived three friends in a village.They were out of work.One day they went to a town to find work. Their way lay through a forest. On the way, they found a bog of gold coins. They were very happy to find the bag. They agreed to divide it equally. They were feeling hungry. So one of them went to bring some food. In his absence. the other two decided to kill him. The Third ate his share and mixed poison in the rest. On his return, they fell upon him and killed him. Then they sat to eat food. soon the poison showed its effect and they also lay dead. None could get the money.